Why Atlantic Breeze Guest House ? Whether you are in Cape Town as a business traveller or staying away for pleasure, Atlantic Breeze Guest House is your home away from home in Sunset Beach, Cape Town. We hope that your stay exceeds your expectations for comfort, quality and value and we hope that you return to stay with us again. 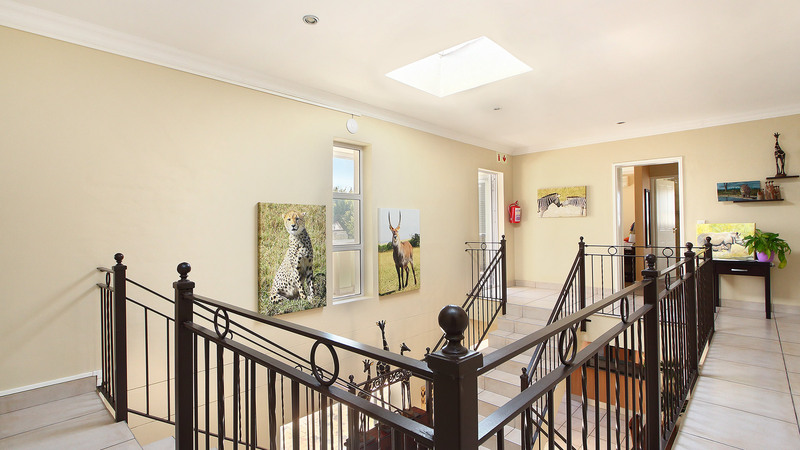 We offer special South African hospitality in spacious and luxurious surroundings. 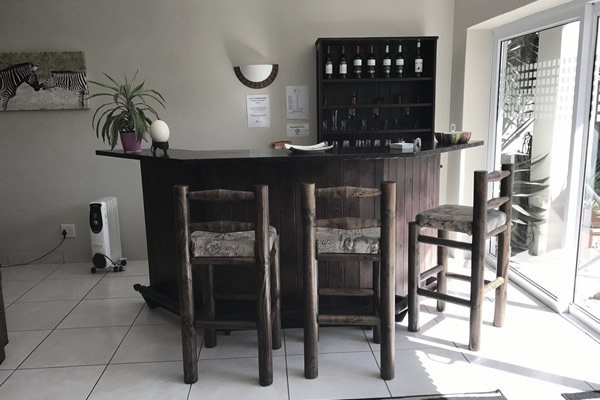 Our four-star accommodation provides our residents with a guest lounge and honesty bar, where you can relax and enjoy a drink by the pool or under the shade of our lapa. Sunset Beach lies to the north of central Cape Town, a mere 15-minute drive from the City Centre. We are close to Milnerton and Table View, close to the Blaauwberg coastline. Sunset Beach is famous for its views of the Pacific Ocean, Table Mountain and Robben Island. The beautiful, sandy beach is a 2-minute walk around the corner from Atlantic Breeze and is legendary amongst wind and kite surfers. Our beach, as its name suggests, is famous for its glorious sunsets. 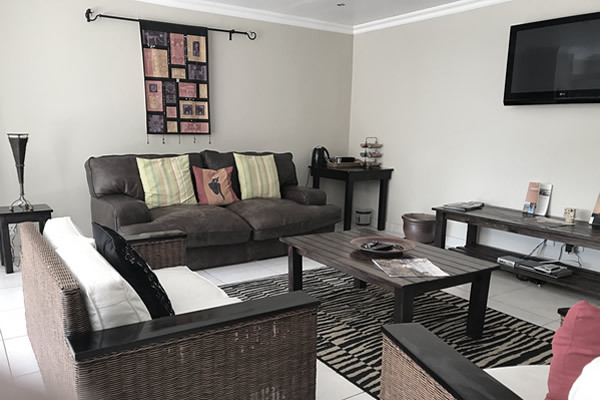 Atlantic Breeze Guest House is decorated in an elegant, modern African style, offering the ultimate comfort, with bedrooms having luxury en-suite bathrooms, satellite and local TV channels, air-conditioning, fan, hairdryers, a hospitality tray and all the comforts you require. 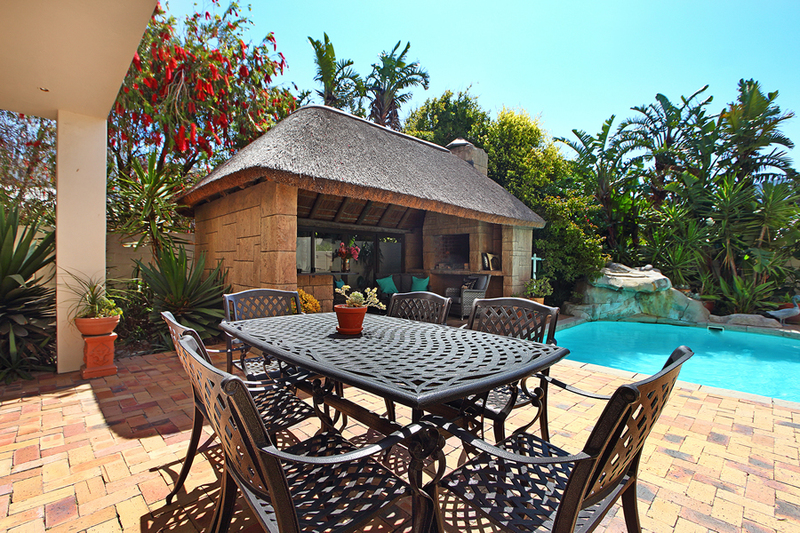 Enjoy the rock feature pool, relax in our poolside lapa furnished with small honesty bar and outside built-in braai area, where you can cook your own evening braai. We offer a spacious guest lounge with plasma TV and honesty bar, secure parking, free wifi throughout, daily housekeeping, amongst many other services to make your stay complete. We can also prepare wonderfully packed lunches and gourmet picnics of your choice - see sample menus of our picnic service under the Menus tab. For our business guests, we also offer small work desks in every room, wifi connectivity, fax and copy facilities and a small conference area. "I am having great fun, hosting wonderful guests, meeting fantastic people and fulfilling a dream here in Sunset Beach."